This post is dedicated to Mr. Andrew who is a regular reader of our blog, he was having trouble with setting alarm with the help of Siri on his recently purchased iPhone5. So we are compiling the steps by which not only Andrew but our every reader can set an alarm with Siri quickly and without difficulty. Press & hold down the Home button. Ask Siri to set an alarm along with the time. For example give Command “Set an alarm for 11A.M” or something like “Wake me up at 11A.M”. Relax, you’ve set an alarm. After following the above steps you’ll be able to find an alarm widget which was set because of your command to Siri. If by any means later you realize that you don’t want to keep this alarm you can easily switch it off by toggling it to “off” position. Meanwhile you can also double click on that alarm widget created by Siri to be taken to Clock app of your iOS device. Note: Remember that Siri can only set an alarm upto 1 day that means if you are planning to set an alarm for more than 1 day in advance than Siri can not help you. However everytime when you’ll try to set an alarm for more than a day you’ll be asked to set an reminder instead of the alarm. 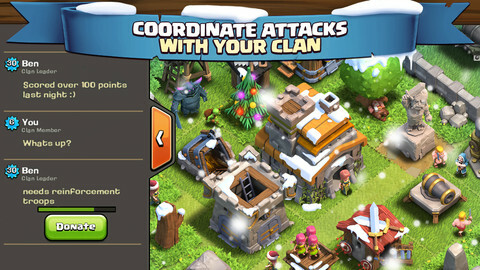 Clash of Clans is an addictive game which requires a quite amount of strategic planning and spirited fast-paced combat battles. 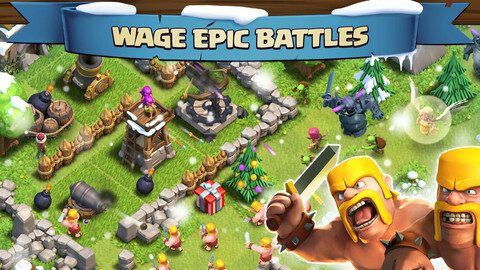 You have to hoist a complete troop of Barbarians which will fight for you against War Wizards, Dragons and many such powerful fighters. Join a tribe of players & compete and score well to improve your rankings. 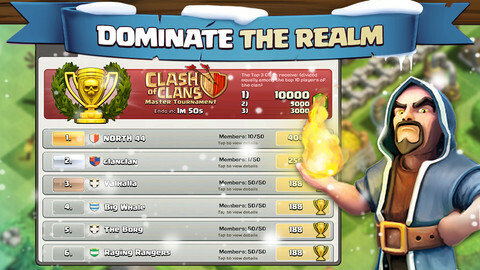 You can also make your own Clan to challenge possession of this fantasy kingdom. 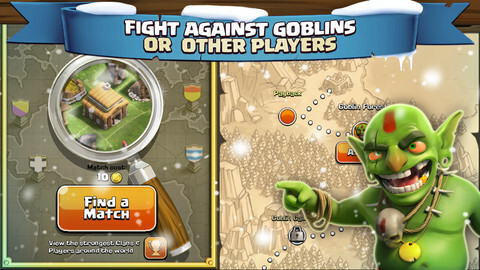 You have to participate in a battle with goblins in the starting and win it but taking it too lightly will not be a good idea as this will be the first step only and your quest isn’t over until your tribe prove their supremacy above all others! Dragon slayers as the name suggest your role will be of a slayer, a killer. So be ready for all the realistic violence but a mild level just to give a realistic experience to this game. The story moves forward like this that these Dragon Slayers are pursuing to hunt these dragon once again and you have to perform various task and fulfill this objective. 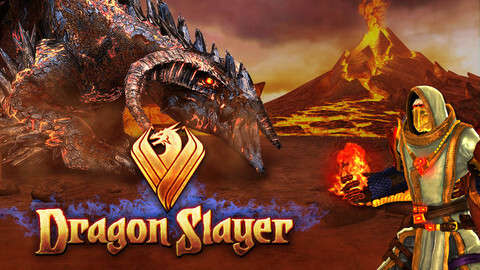 Dragon Slayer is one of the popular and visually stunning, magic-based battle game that is brought to you by the studio of Glu games, yes these are the one which brought you Blood & Glory: Legend. 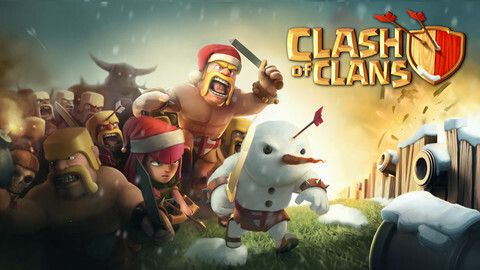 Are you ready to battle it out with dragons. 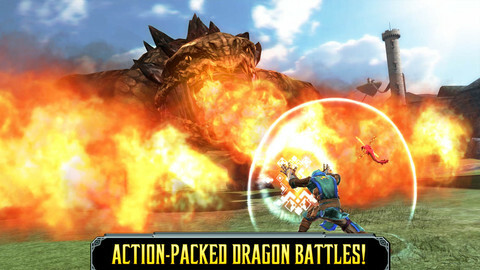 BATTLE MOUNTAINOUS DRAGONS – Confront enormous dragons, wyverns, and reptiles as you pass through the fantasy kingdom. UNLEASH POWERFUL MAGIC – Be ready to cast some lethal spells and steer clear of the furious breath, bite, tail-whip and talons of the Dragons. 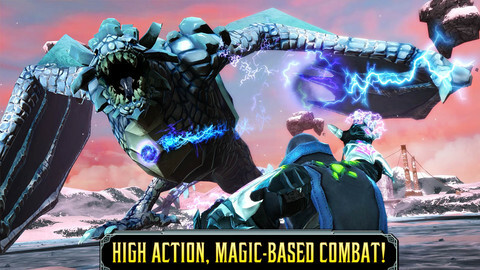 UPGRADE MAGICAL EQUIPMENT – Endow magical gloves, conceal yourself with armor and get ready to slaughter dragons. 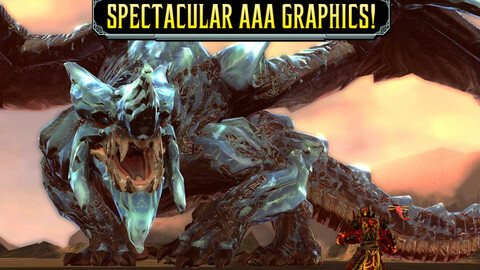 STUNNING AAA GRAPHICS – astonishing graphics which are both optimized for Retina display and Widescreen Displays of even 16:9 aspect ratio. MOTION COMIC STORY – Complete story with realistic voyage through the Fantasy kingdom with the objective to hunt to subjugate frightening Dragons. To run this application you need to have atleast iOS version 4.3 or higher and not to forget this application has been truly optimized for iPhone 5. 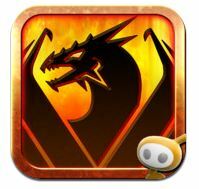 Dragon Slayer is currently available for free of cost so you can download this game and play freely however you require to pay some real money for additional items which can enhanced your gameplay with making this easy, after the ingame purchases the money will be charged from your iTunes account, if you are not interested in any purchase remember to disable in-app purchasing by regulating your device settings.